Handpicked AquaFarm for its Hot or Not section. "Aquafarm concept, it’s a stroke of genius." "This is a great fuss-free addition to any household." It's easy, natural and fun. 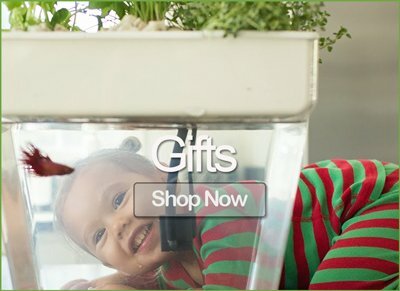 Start growing food today! At Fluid Growers, we decided to help develop a new crop of urban farmers to grow their own food. With great ideas transformed into products that allow an emotional connection back to home grown produce, and practical education on sustainability. 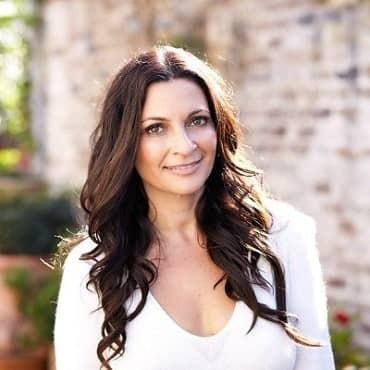 We are committed to customers in Australia and New Zealand, and their particular preferences in this journey of choices towards a more practical and sustainable living. We chose to back up Water Garden by our partners in the US Back to the Roots, as an example of a great idea brought to execution that is already delivering an impact in food consumption and lifestyle. This is a product we love. 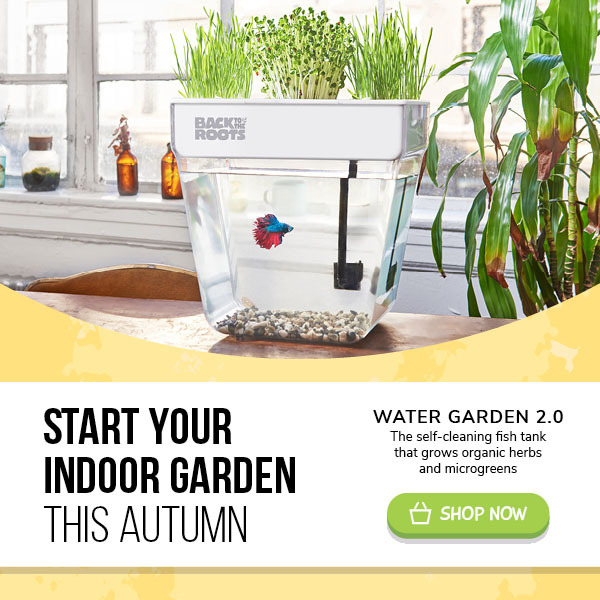 No matter where you use it, You would feel a personal connection to a little ecosystem between fish and plants in beautiful balance. We want you to use the Water Garden in the way that works best for you. We have some guidelines for you to help keep the unit running as effectively as possible, so check out our Frequently Asked Questions page. 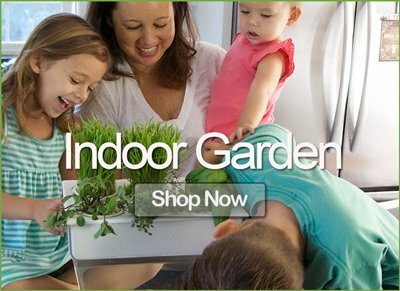 Place the unit in your kitchen to grow herbs to use in recipes for you and your loved ones. The seeds and supplies included enable true organically grown food. It’s so easy, kids can help take care of it too. No green thumb required. No Tank Cleaning. If you work in a classroom, Water Garden offers a great opportunity to teach kids about where food really comes from, the simplicity of ecosystems, and provide a living experiment that they can participate in and see function throughout the week. 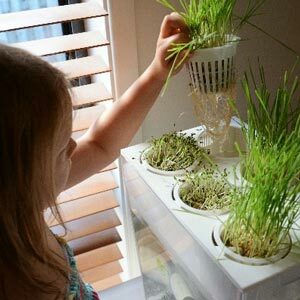 It can also offer an opportunity for them to try new greens, and that surely is going to be a hit with any parent! 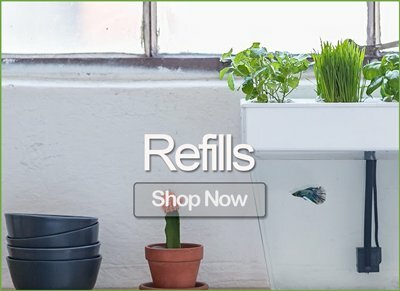 Shop with us for the natural supplies you’ll need for your Water Garden to keep system balanced and performing optimally, so you know only natural things go into your tank, and confidently grow the best quality food for you, your family or classroom. Stop in at our site often, or subscribe to find out the latest information from us. We’d love to have you join our family. We’re constantly updating our product offerings for you.